If you would like to subscribe to this blog, so that you automatically receive notification of new posts there are several ways to do so. 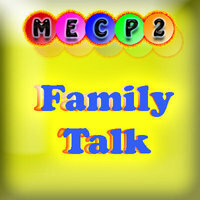 Facebook Facebook users can follow the MECP2 Duplication Syndrome Blog and all their favorite blogs using Networked Blogs. If you are a regular facebook user, this may be a good choice, especially if you have a a few blogs that you like to check on regularly. 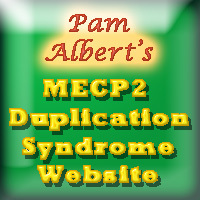 Just go to the MECP2 Duplication Syndrome Blog Networked Blogs page and click on the follow button. 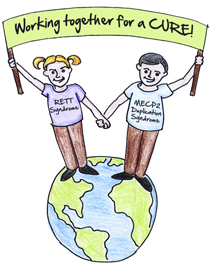 Twitter Twitterers can follow the MECP2 Duplication Syndrome Blog by subscribing to MECP2 Twitter feeds. This will send you the title and link to each new posting. Hi, I’m a mum of a 30 yr old son who has MECP2 Dup. I also have a grandson with Mecp2 dup. Where we live in NSW Australia we are the only family that we know of. I have been in contact with Pam Albert and have just met Alison, Leam and most importantly Asher, when visiting my daughter Teresa and her family in Newcastle.It was something having 3 boys in the same room who have Mecp2 duplication, we hope to do it again and get a photo. Asher was not very well and was in hospital, but we will meet again. Good to hear from you Yvonne. Happy New Year to you and your family! It is always great to hear from other families who have faced and are facing some similar challenges. I’m a special education teacher and for 2 years I have had a student with with MEPC2 Dup in myself-contained classroom of 6 students. His skills seem to be be regressing more every day. I want to make sure that I can prepare him for the best quality of life possible. My biggest concern is communication as he is non-verbal.